Whether you rent or own the place where you live, there’s a lot of things you can do on your own in terms of upkeep and maintenance. Not every task requires a call to the landlord or professional handyman. You can actually take a great amount of pride in making those minor repairs. However, there are some tasks that will benefit by bringing in outside help. That is certainly true when it comes to big appliance recycling. 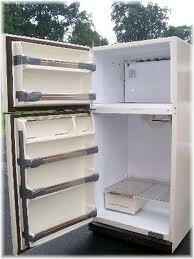 Getting rid of an old stove or refrigerator usually means you’re replacing it with a new model. Recycling that old item is in a priority. But it’s a task that can be easily handled by a company like Junk King Cincinnati. They’ll take care of big appliance recycling the right way. Anytime you buy a new major appliance like a refrigerator or stove you always are going to be concerned with what to do with the old one. Some people can actually put a second refrigerator to use provided it can be kept down the basement or out of the garage. But if that refrigerator is beyond repair, then it needs to be taken away. You certainly don’t want it hanging around as a potential trap for kids playing hide and seek. The same can be said for any type of appliance that can be crawled into like a dishwasher, wash machine or dryer. Junk King Cincinnati can make sure those big appliances are removed on the same day you get delivered your new appliance. This can also be the same day you get rid of the rest of your unwanted clutter from around the house. You’re going to be assigned a two-man working crew for your task. This is the team that will do all the manual labor for you. You don’t even have to unplug the refrigerator! As for the other stuff you want to get rid of it can be scattered throughout your house. You just have to point to the things you want taken away and Junk King will do the rest. Getting rid of unwanted clutter and a big appliance has never been easier thanks to Junk King Cincinnati. This entry was posted in Cincinnati Appliance Disposal and tagged appliance recycling, Junk King, junk removal on October 31, 2017 by Junk King. Last updated October 31, 2017 .